Thinking of where to go for your next holidays? Why not go on a cruise that houses everything you want to do in a boat. From Mar 14 to 20, Royal Caribbean will be having a roadshow at Raffles City level 1 Garden Court offering 1-for-1 deals from 10 am to 10 pm daily. The deal is available for 3 different ships. How can you combine the experience of surfing under the hot sun and ice skating in the cold? 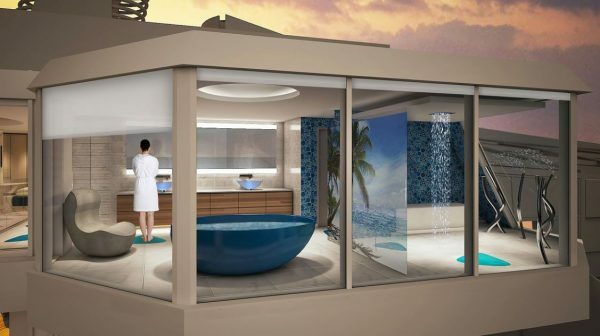 Royal Caribbean’s Voyager of the Seas offers both experiences under one roof (or boat). The Voyager of the Seas offers an ice skating rink for those that just want to chill out on a hot day. If sub-zero temperatures aren’t your thing, why not heat things up with Flowrider, a surfing simulator. Students rejoice! The available period of departures happens to fall on the June holidays. Here are the details for this cruise. The Voyager not atas enough for you? Hop in the Quantum of the Sea, a larger boat with a steeper price tag. Most children will remember being in a bumper car in their childhood. If you miss such experiences, SeaPlex is an indoor venue that offers bumper cars rides. The venue also doubles up as a roller rink and even used as a trapeze school for interested patrons. For the thrill-seekers out there, the cruise offers Ripcord, a sky-diving simulation without actually being 10,000 feet in the air. Thankfully, the cruise departs during the December holidays. Being a little more pricey, you may need to make this a parent-sponsored trip. The details are as follows. The new Spectrum of the Seas is the largest and most expensive ship in the Royal Caribbean fleet. The hefty price lands you an exclusive balcony suite apartment and provides perks such as a special keycard and private elevator among others. Search Spectrum of the Seas and you will notice a yellow-coloured ball attached to the aft of the ship. That ball is actually an attraction known as the Sky Pad. 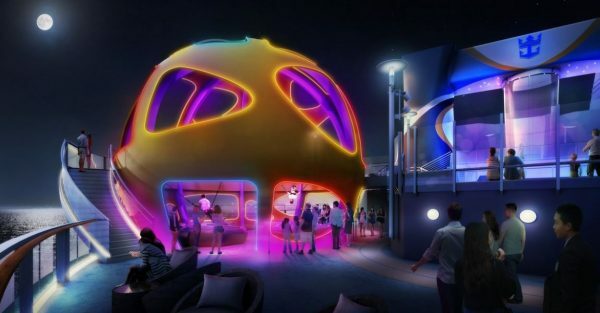 The Skypad is a sphere-shaped enclosure that has trampolines inside where customers can wear a virtual reality headset. If you like adventure and excitement, send yourself to another dimension with the virtual reality bungee trampoline experience. The most expensive one of the bunch, Spectrum, only has 2 departure dates. For the high SES patrons here are the details of the trips. Instead of flying off for a holiday, why not spend time on a relaxing cruise to truly appreciate the overseas experience. So head down to Raffles City to book your next cruise now before the offer ends on Weds (20 Mar). The post Royal Caribbean Offers 1-For-1 Deal For 3 Cruises To Malaysia Till 20 Mar appeared first on Must Share News.